The popularity of tacos continues to grow. This one's combining the flavour of the pacific with traditional south western American with the use of chipotle. Mix the HELLMANN'S Real Aioli and KNORR American Chipotle BBQ Sauce GF together. Mix the cabbage, carrot and onion together in a large bowl. Combine the pineapple, coriander and jalapenos in a small bowl. 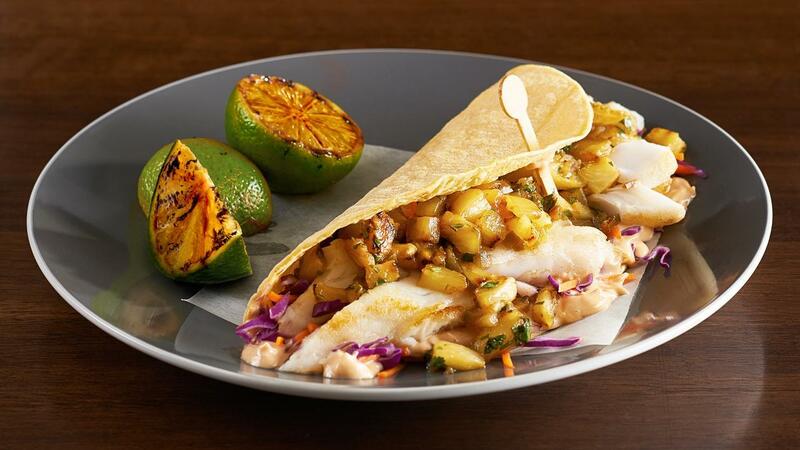 Construct in the following order: taco, chipotle aioli, slaw, fish, pineapple relish. Serve with a slice of lime. If you want to mix different textures, deep fried fish works just as well.